Click on the image to explore key points in this case. PHOENIX – A lien placed by a construction firm doesn’t automatically have priority over other liens recorded after work begins on a development, according to a Arizona Supreme Court ruling. 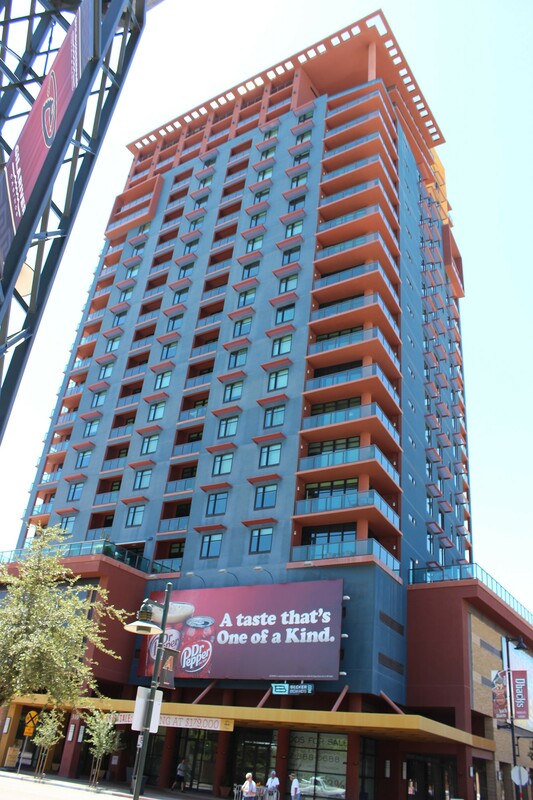 The Aug. 26 decision stems from a longstanding court battle over a high-rise condominium building, Summit at Copper Square, located next to the Chase Field in downtown Phoenix. Reversing an appellate court decision, the high court said that a state law governing so-called mechanics’ liens doesn’t necessarily make general contractor The Weitz Co. first in line to recoup the $4 million it has yet to be paid for the project. The case centers on the legal doctrine of equitable subrogation, which establishes priority over legal claims or rights. The contractor and owners of 91 units in the building are at odds over who is entitled to proceeds from the sale of those units. In May 2008, after 85 of the units were sold, the contractor recorded a mechanics’ lien against the project. It later sued to foreclose the lien against Summit as well as owners of the units and their lenders. The buyers and lenders of the units contend they have equitable subrogation priority over Weitz’s mechanics’ lien because they paid the share of the construction loan allocated to those units. The trial court agreed with Weitz’s argument that owners and lenders weren’t entitled to equitable subrogation because the sales in question didn’t fully discharge the construction loan. As a result of that ruling, percentages of the contractor’s lien were allocated to each of the units. In late 2013, the Arizona Court of Appeals upheld the ruling but for a different reason, finding that under state law equitable subrogation can’t ever apply when a mechanics’ lien is in place. The Supreme Court ruling found that equitable subrogation can apply when a mechanics’ lien is in place and referred the case back to the trial court to decide if it applies in this case. Matthew B. Meaker, an attorney who prepared a brief in which the American Subcontractors Association supported Weitz, said he’s disappointed for the construction industry. “It felt as though having a bright-line rule would have allowed all the players to have greater certainty to whether something like may or may not happen,” Meaker said. Instead, he said, what is left is a case-by-case analysis of the rule, something that he said creates uncertainty. Attorney James L. Csontos, who prepared a brief supporting Weitz on behalf of the Arizona Builders’ Alliance, said the Legislature should act to protect the construction industry. “They (Weitz) took money out of their own pocket to build this building and never got repaid for that money that they spent out of their own pocket,” he said. Executive Vice President Mike Bontrager said The Weitz Co. has already paid subcontractors for their work and is more concerned with getting clarity on the issue. “Really what it does, unfortunately, is complicate the situation for general contractors and subcontractors going forward,” he said. 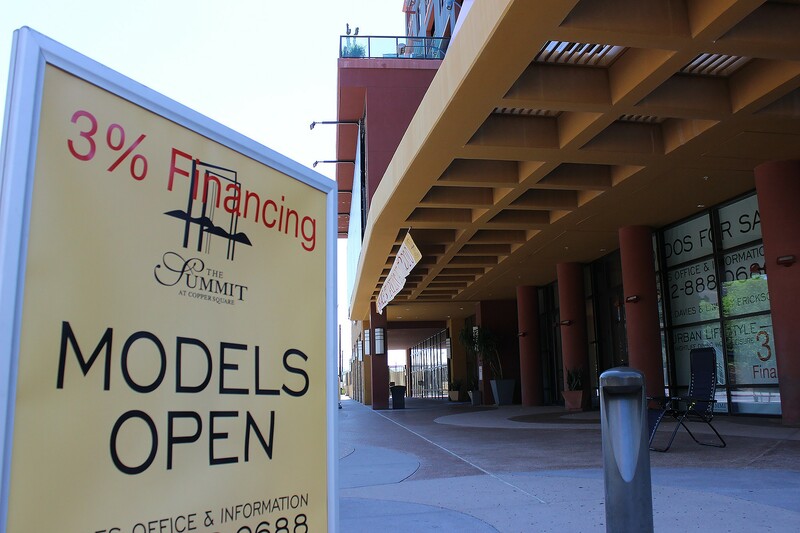 Financial woes surrounding Summit at Copper Square, built in downtown Phoenix as the real estate market turned south, led to a Arizona Supreme Court case pitting an unpaid contractor and those who purchased condos in the building. The Arizona Supreme Court ruled recently that a lien placed by a construction firm doesn’t automatically have priority over other liens recorded after work begins on a development. 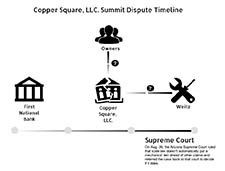 The case stemmed from the financially Summit at Copper Square in downtown Phoenix.